I am sure several of you have been in a situation where you started your next dashboarding project and wanted to re-use data that you already have available in other reports. Especially when it is about re-using perhaps calculations or re-using pre-scheduled reports in form of instances as a data source for your next dashboard. 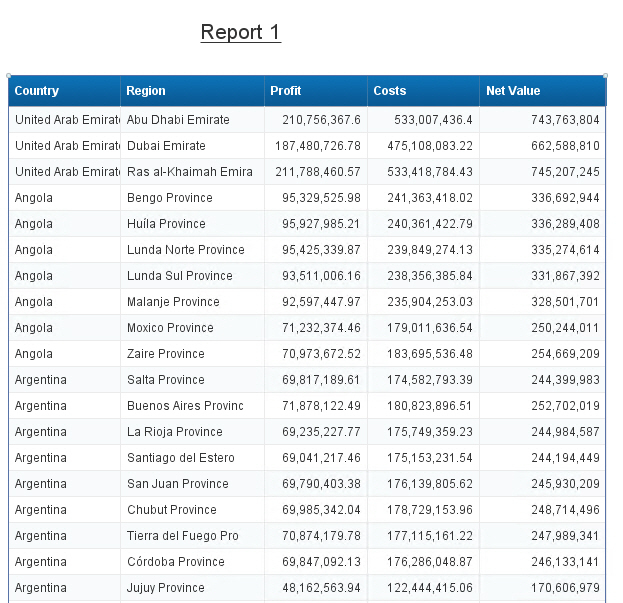 We did receive this request from several customers and we decided to solve the problem in our upcoming release of our Visual BI Extensions for SAP BusinessObjects Design Studio / Lumira Designer by introducing the ability to leverage Web Services as a data source. By using Web Services as a data source we also can use the BI Web Services from SAP BusinessObjects as a data source and in that way use a Web Intelligence report or a Web Intelligence instance as a data source. 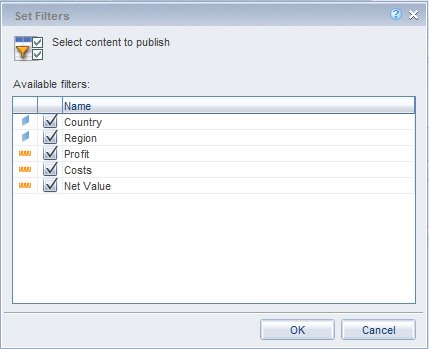 So lets take a look, how simple it is to get your Web Intelligence data into SAP BusinessObjects Design Studio. Below you can see our Web Intelligence report with a set of Dimensions and a set of Measures. 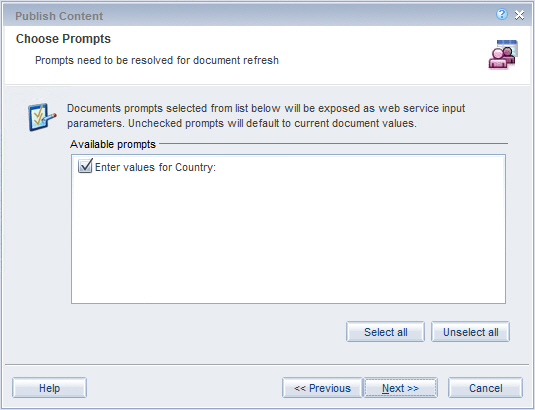 In the next step we simply expose the Table from the Web Intelligence report as a BI Web Service and as part of the process we also decide that we would like the Web Service to include the prompt from the Web Intelligence report, in our case for being able to choose a value for dimension Country. If we would like additional items to be available for filtering, we can choose to expose any of the dimensions or measure to be available for filtering in the next step. We then publish the Web Service definition to our SAP BusinessObjects BI platform and can then go into SAP BusinessObjects Design Studio to leverage the data from the Web Intelligence report. 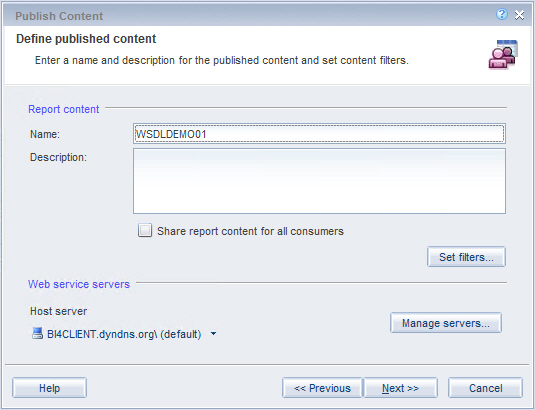 We copy / paste the URL of the Web Service from the properties in Web Intelligence…. 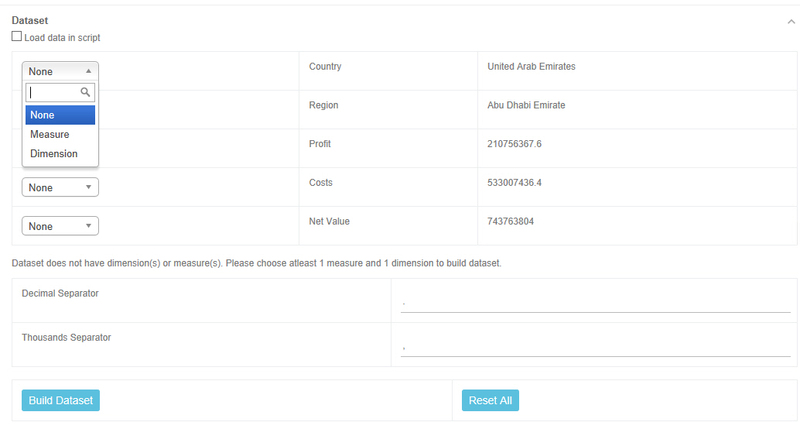 … and add the new Custom Data Source option Web Service Data Source to our new Design Studio project. Now in the properties for the newly created data source, all we have to do is to paste the URL that we took from the properties in Web Intelligence. 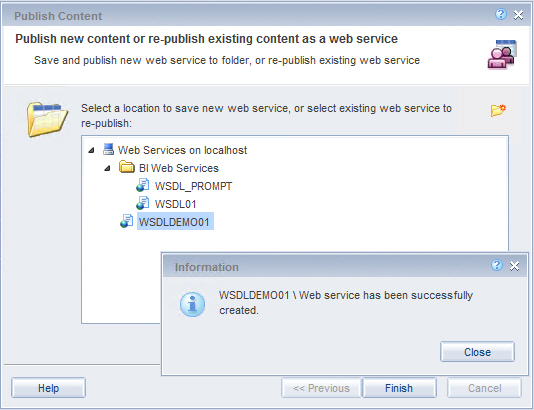 This will then provide us access to all the parameters that are exposed as part of the BI Web Service. We enter the user / password to logon …. which basically is then retrieving the actual data from the report and we can then use the data source like any other data source in Design Studio. So why is this an interesting option overall ? First of all it does give you the option to use data from your existing Web Intelligence reports, including calculations that you created in the Web Intelligence report. It also allows you to leverage the data from Instances of those reports, so instead of having 500 users asking for the same information live from the data source, perhaps it is a better choice to have a report with existing data and the 500 users just connect to a pre-scheduled report. 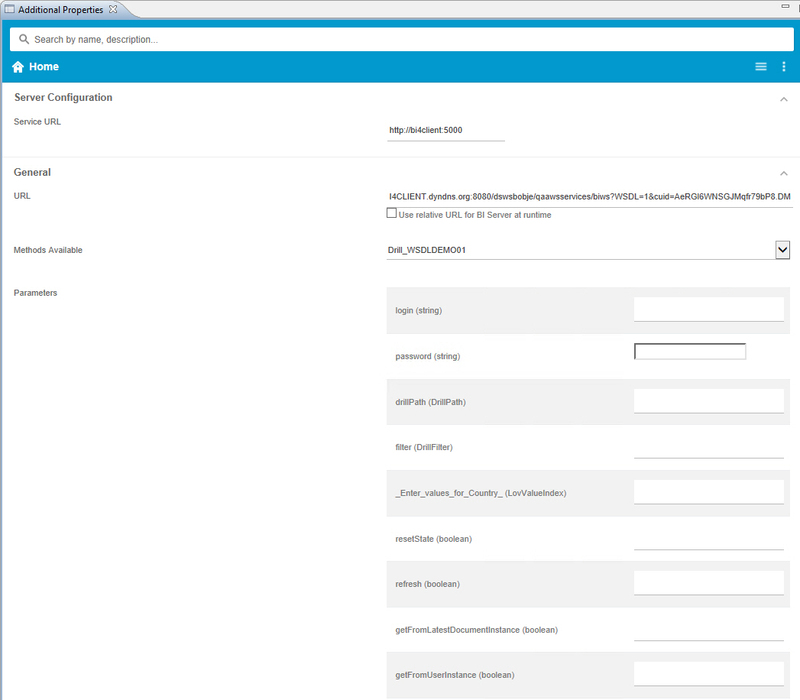 It also allows you to connect to an already existing instance of the report and still apply filter values to only receive parts of the instance. It doesn’t require a large complicated server deployment. All it requires is a simple service that helps to scale the access to larger number of users. This new option for using Web Intelligence reports as a data source for Design Studio / Lumira Designer will become part of our Q2 2017 release of our Visual BI Extensions for Design Studio. It just great to see that all different kind of reports can be linked to one another, that’s the way to go to provide business a full reporting environment! great stuff! Ingo Hilgefort How is this product licensed? Is it per user or Per system/install? I may need the Database connector for Webservice but looks like you have some other great stuff in there too. If you could drop me a PM about costs that would be great.